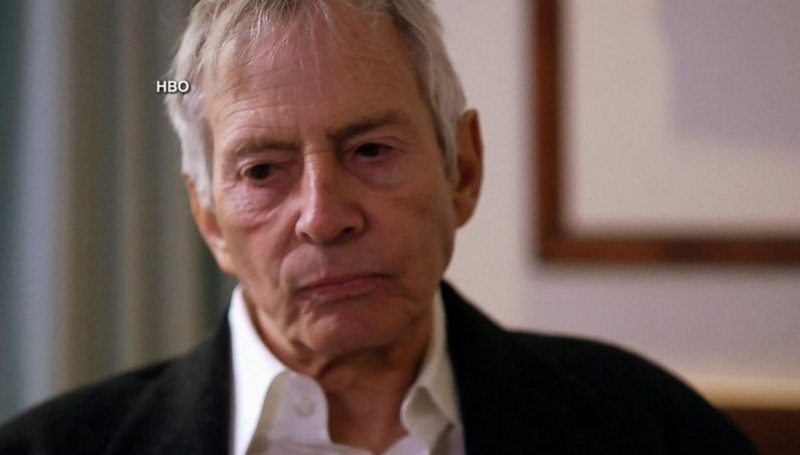 In the fascinating investigative-documentary (seven years in the making), "The Jinx: The Life and Deaths of Robert Durst", Andrew Jarecki directs, produces and some have said has created a new genre in the recently released HBO series. Robert Durst, son of a New York City real estate mogul - Seymour Durst, was arrested on 14 March for the alleged murder of his friend, Susan Berman. She was killed in December of 2000 - and many believe she had knowledge of the disappearance of Kathleen ("Kathie") McCormack Durst - Robert Durst's first wife. Robert Durst also was acquitted in the murder of Mr. Morris Black where he claimed self-defense and yet admitted to dismembering his body and dumping it in Galveston Bay. Mr. Durst is highly intelligent (he is known to have Asperger Syndrome) and most consider him highly eccentric. The expression captured in the image above is notable for a significant nonverbal message. Note Durst's lips. They are configured in what is known as a "Loose Forward Lip Purse" - for which this is a subtle example (As the name implies - there are tight varieties and lateral [sideways] types of lip purses as well - which have added and different meanings). Durst made this expression a number of times during his interviews for "The Jinx". It's highly characteristic of clandestine disagreement and/or a clandestine plan. Those who make this nonverbal signal may express a slight verbal disagreement (or often none at all), yet they are feeling dramatic dissent. Forward lip purses are only made by those who feel they are in some or all ways superior to those to whom they're speaking. This body language sign of an alpha mindset (directed towards a perceived beta person) - is often part of their secret. They want to keep their advantage hidden. It's also highly characteristic for them believe they have a significant chance of success in both implementing and ultimate success of their plan. For those who believe Robert Durst is guilty of one, two or three murders, this expression will now make perfect sense. We all display this facial expression on occasion - however those who display a loose forward lip purse chronically will often suffer from Machiavellianism, Narcissism and/or Psychopathy (the Dark Triad). Any video of segments of Robert Durst's interview via any non-bootlegged source - which are able to also be embedded thus allowing for further and dynamic analysis would be greatly appreciated. Thank you.